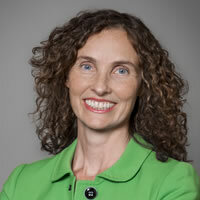 Michelle Taylor-Sands is an Associate Professor at Melbourne Law School and a legal member of the Victorian Mental Health Tribunal She has also been a policy advisor for the Victorian Government on assisted reproductive treatment legislation. Prior to becoming an academic, Michelle was a senior lawyer with the Australian Government Solicitor, where she worked for nine years as a litigation specialist in government law and regulation. She is author of the book, Saviour Siblings: A Relational Approach to the Welfare of the Child in Selective Reproduction and has published articles in Australian and international legal, medical and ethical journals on health law and civil justice. Her current research interests include bioethics, selective reproduction and the welfare of the child to be born. She is currently a member of the Advisory Panel to the Victorian Assisted Reproductive Treatment Authority.